Bernadette Coleman is the founder and CEO of Advice Interactive Group, a three time award-winning Inc. 500 digital agency. She has authored multiple eBooks, the most recent two being An Introduction to Social Media Marketing eBook: A Guide for Small Businesses and Online Marketing for Local Businesses: A Beginner’s Guide. 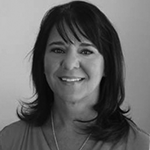 Bernadette has been actively involved in digital marketing with an emphasis on local SEO since 2001. Within her organization, she focuses on developing enthusiastic and innovative teams to research, create and develop exciting digital marketing strategies for their clients. Often referred to as the Queen of Local SEO by industry peers, Bernadette is always thinking about how businesses, small and large, can leverage content marketing, search engine optimization, and social media to dominate local search. This desire lead her to the creation of Local Site Submit, a citation submission technology that helps businesses to get found quicker and easier on Google, Bing and other local business directories. Among the many awards she has received, Bernadette is quite proud of her Female Entrepreneur of the Year – Stevie Award. Being a female CEO is no small feat, and to inspire other women day to day is one of her many passions. In addition, Bernadette is co-organizer for the Rocks Digital Marketing Conference, one of the largest digital marketing conferences in Texas held annually and the Rocks Digital Meetup Group, in which entrepreneurial minded business owners and digital marketers gather monthly to learn, share and grow their knowledge of all things digital. Bernadette is an active member of the DFW Search Engine Marketing Association, DFW Sempo, and many other local and national organizations. You can find her speaking locally and nationally on local SEO and search strategies for business owners. As part of the desire to educate others, Bernadette is a regular contributor to national digital marketing publications, such as Search Engine Journal, Social Media Today, Search Engine People and Business2Community. In her spare time, she and her husband, Tom Coleman, work as advocates for brain injury awareness through their co-founded nonprofit, TryMunity. Search #QueenofLocalSEO and you’ll find countless entries attached to her name. Of course, follow Bernadette on all the social media channels – Twitter, Facebook, LinkedIn and Google+. You never know what she’ll say next! Visit BernadetteColeman.com, which has the hottest content, search, social and local news on the web to see what else Bernadette has happening. Read her posts on the Advice blog and Rocks Digital.